70 years had passed since the end of a dark era in world history and one of Singapore’s darkest times in history, the end of World War II in the year 1945. 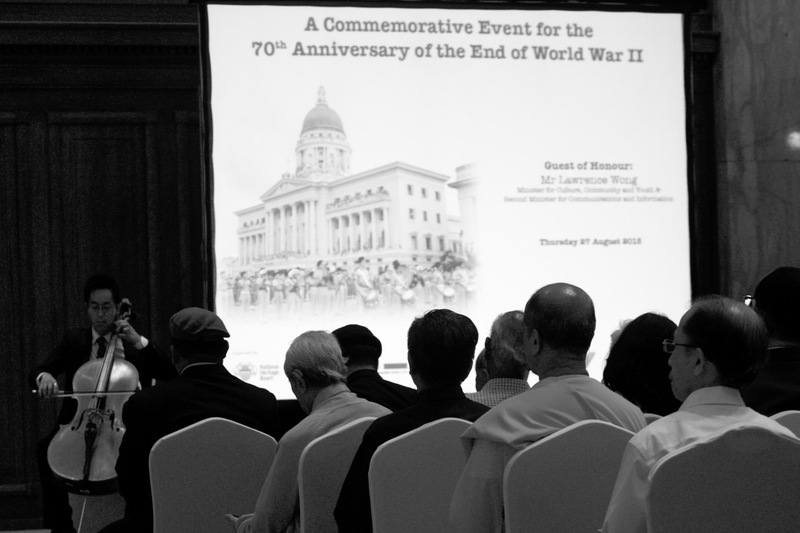 On the 28th August 2015, the National Heritage Board organised a commemorative event to mark the 70th Anniversary of the end of World War II, at the National Gallery. This was indeed a great honour and humbling experience for me, to be invited by National Heritage Board to be a part of this important commemorative and significant event to mark the 70th Anniversary of the end of World War II, among distinguished guests, war veterans and WWII survivors. The commemorative event was held at the National Gallery, that was also where the official surrender ceremony took place on 12th September 1945 in the City Hall Chamber at the former Municipal Building in Singapore. 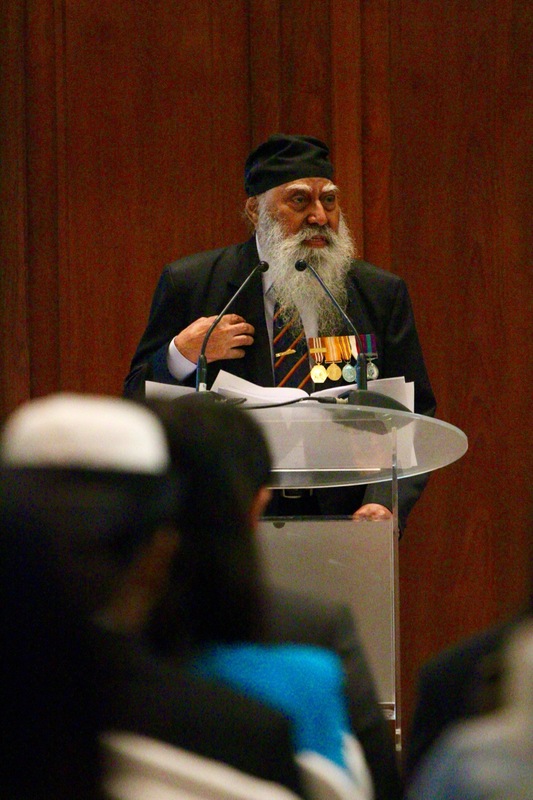 Inside the National Gallery, listening to the real life stories and sharing by Major (Retired) Ishwar Lall Singh, a member of the Singapore Armed Forces Veterans League (SAFVL) when he was a teenager during World War II. His sharing was heartwarming and sincere, it was also an eye opener from a survivor who went through so much. 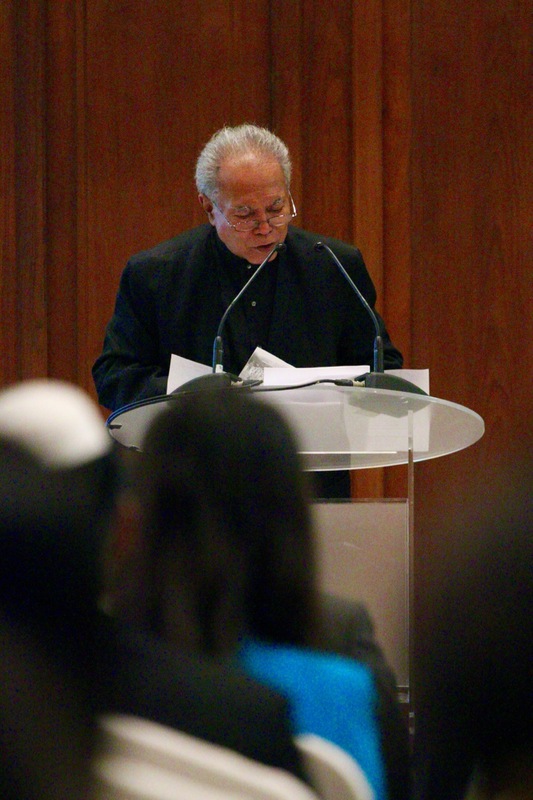 There was a speech and poem recital by Professor Edwin Thumboo, Emeritus Professor at the NUS Department of English Language and Literature, followed by a beautiful cello performance by Mr Christopher Mui from the NUS Yong Siew Toh Conservatory of Music. The Guest of Honour, Mr. Lawrence Wong, Minister for Culture, Community and Youth & Second Minister for Communications and Information gave his speech after them. I grew up in an era whereby it was peaceful, there were no wars. This brought me down to earth, on how blessed and fortunate my generation and our current generation were right now. This was very humbling and it will always be a great, constant and strong reminder to us and our future generations that we must not take our peace, prosperity and our country Singapore for granted. Close to the end of the solemn commemorative event, there was a silent prayer by Inter Religious Organisation for peace. 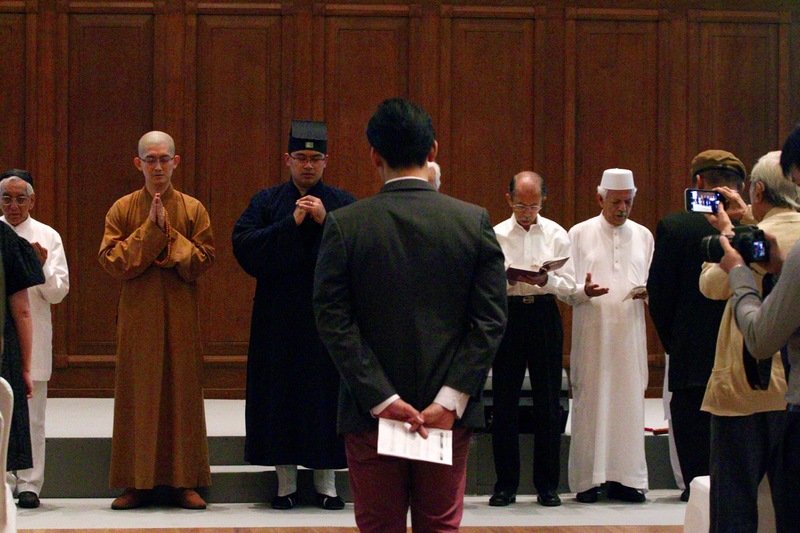 The moment of silence, the silent prayer rallys every one of the guests there to pray in silence together, regardless of race, language, religion. 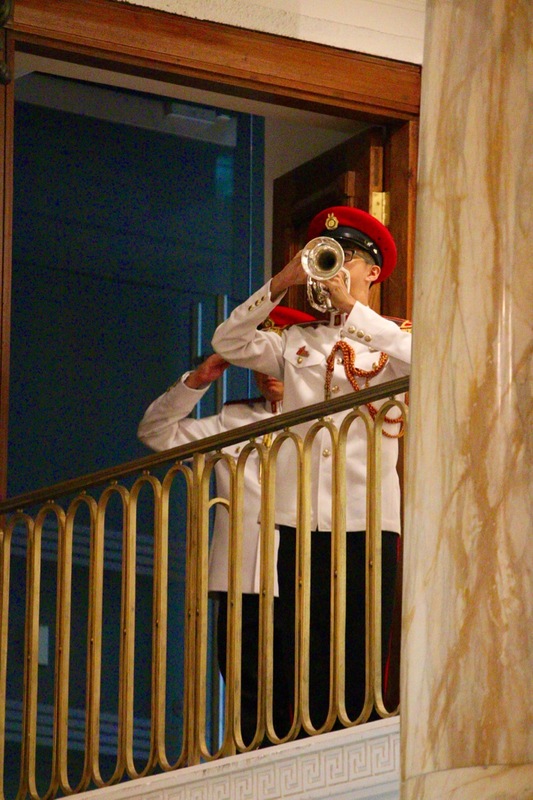 The “Last Post” was sounded, the war veterans saluted and the rest of the guests stood in silence, remembering the courage and sacrifice of the fallen. A minute of silence was then observed, the atmosphere was very solemn, very quiet in the City Hall Chamber. The sounding of “The Rouse” signified the conclusion of the commemorative event and a new beginning for everyone of us. The stories, sharing and messages that were shared, I have to pass-it-on, sharing them, spreading them across to the people around me and my readers. This is the most basic and minimum thing that I can do, to help spread the messages that I heard today. Let us all remember the courage and sacrifice of the fallen and those who survived. Let us remember the pioneers who contributed to the rebuilding of Singapore after the Second World War. Let us all spread love, friendship and kindness to everybody around us!